The charting of Australian photographic history is a largely under-developed project. 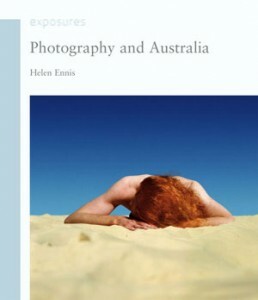 While there has been a steady stream of survey exhibitions since white Australia’s bicentennial celebrations of 1988, prior to Helen Ennis’s Photography and Australia arguably only three books of any significance had been published on the topic. Ennis’s survey is distinguished however by more than its mere arrival. Central to her inquiry is the argument that photography in Australia has been inescapably shaped by the country’s colonial invasion / inception. “Photography in Australia”, she points out, “is not simply a product of the modern era, but is tied inextricably to the imperialist and colonialist underpinnings of modernity”. Through a series of seven thematic essays Ennis teases out characteristics of the medium that could be considered distinctively Australian. Rather than mapping a linear trajectory of Australian photographers responding to the technological and conceptual developments of their European and American counterparts, she deals with Australian practices in art, science and commerce that have evolved in relation to ‘local’ concerns. Including issues and themes such as the mythologization of the Australian landscape, the manufacture of nationhood and national identity, and the representation of Aboriginal Australians. One of the most commendable aspects of Photography and Australia is Ennis’s critical analysis of the medium in relation to the complexity of indigenous and settler Australian relations. Photography and Australia contributes a significant antidote toward the invisibility of Aboriginal people in the writing of early Australian history and the collective amnesia about the treatment of the traditional landowners of the ‘lucky’ country that continues to pervade much of Australian society.